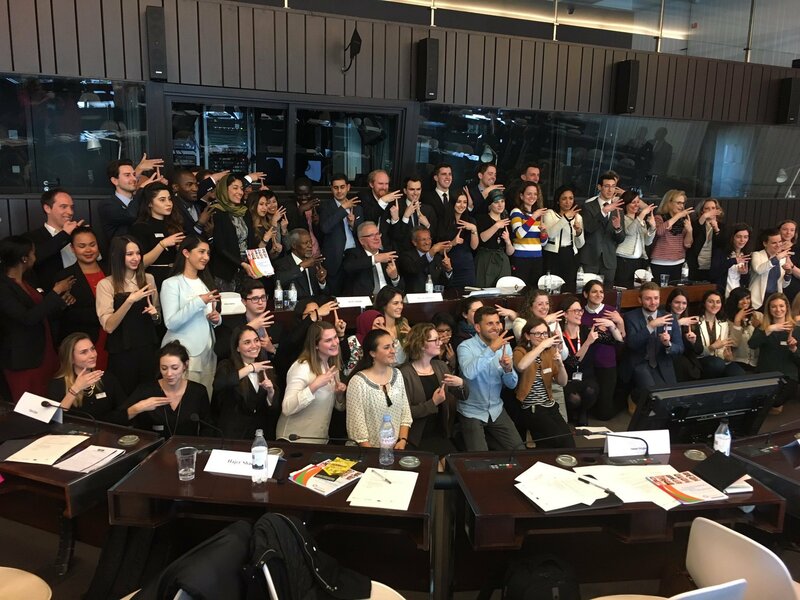 One year after the devastating terrorist attacks in Brussels and many other cities since, Kofi Annan and ten of the world’s leading young counter-extremism experts unveil their flagship guide against extremism for young people. The guide is designed to start a global movement of young people mobilising against violent extremism. It will direct Extremely Together’s work in the future, as they aim to inspire other young people to follow in their footsteps. Speaking on the Extremely Together initiative, Kofi Annan said: “Youth have been at the receiving end of the problems my generation unloaded onto them. Wars, inequality, and climate change, are all drivers for violent extremism but there are barely any young people at the negotiating tables. My Foundation started this initiative because we thought that it was time to start talking to rather than about young people and I hope that they will inspire their peers to join this this movement.” The young leaders of Extremely Together also weighed in on the launch of the Guide: Bjorn Ihler of Norway: “Extremism takes many forms and shapes which require tailor-made approaches if our generation is to defeat it. Coming from different cultural, economic and political backgrounds, our guide covers such a bandwidth of approaches that youth the world over should find what approach suits their needs best.” Arizza Nocum of Philippines: “From de-radicalisation, to strengthening respect for human rights, engaging students and sensitizing your community: As Extremely Together we shine a spotlight on the many ways in which young people like us may confront violent extremism every day.” Hajer Sharief of Libya: “We want nothing short of starting a movement of young people worldwide mobilising against violent extremism. This guide is just the beginning. It will direct our work in the future and hopefully convince many other young people to follow in our footsteps.” The Foundation is grateful for the support of the European Commission, One Young World and the Amersi Foundation without whom this initiative would not have been possible. The heads of these organisations have offered their reflections on the work of Extremely Together on the day of the Guide’s launch in Brussels: Neven Mimica, European Commissioner for International Cooperation and Development: “Violent extremism is a sad reality that we all have to face within our societies today. For too long too many young people have been victims or even instruments of terrorism. Extremely Together is about turning the tables and empowering young people to become agents of peace, tolerance and hope. Kate Robertson, One Young World Founder: “Too often, young people are thought to be apathetic, naïve and inexperienced, but these inspirational leaders are proof of their power in addressing the world’s challenges. Amplifying young voices and ensuring that their ideas are centre-stage will be vital for driving positive change.” Mohammed Amersi, Chair of the Amersi Foundation: “As we work to combat extremism in today’s increasingly conflicted world, it is more important than ever that young people feel engaged and energised. The work Extremely Together does is something that can be replicated worldwide, and I hope this is just the beginning of a great movement.” The guide’s chapters exist as films, on a dedicated webpage online, and as a report available in English, French, and Arabic to maximise their reach.